It’s every boy’s dream to be able to drive a race car. To put the pedal to the metal, and see what this baby can do! 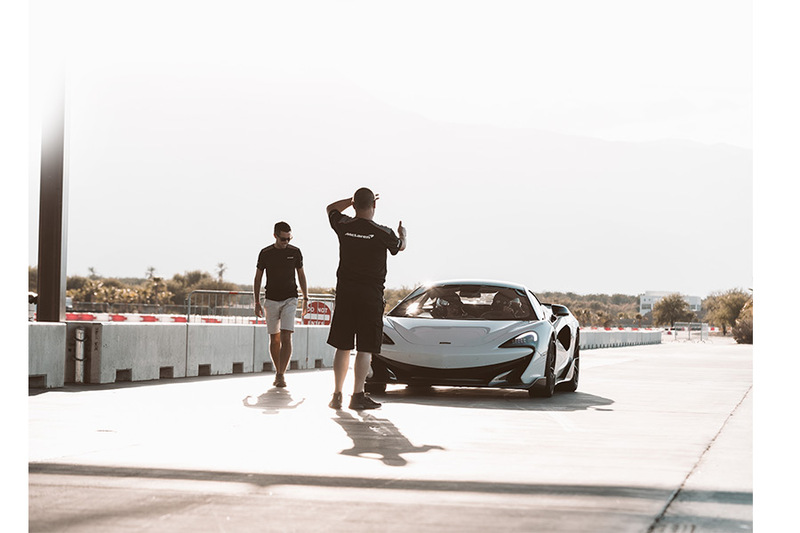 Well, we came as close to this dream as possible (but as very appreciative adults), as we had the chance to experience the McLaren 600LT both on the track and on the road. 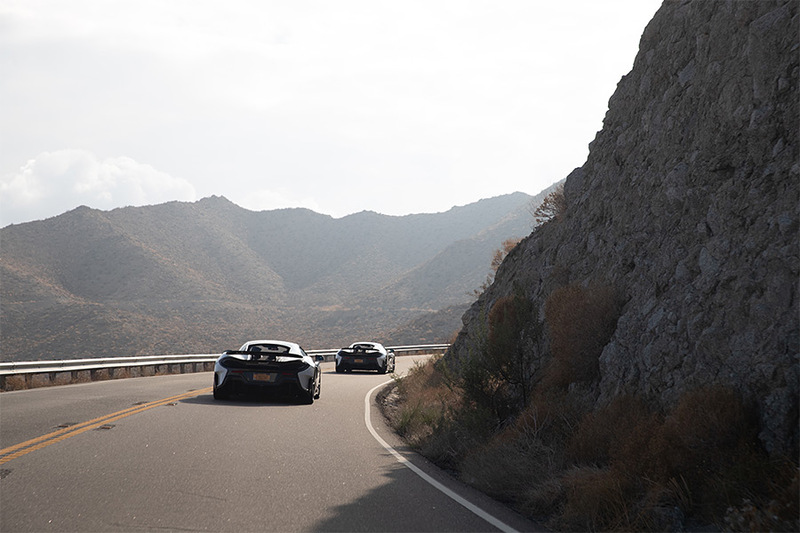 This is a car lover’s bucket-list moment, and as we made our way to Palm Springs, we were giddy with excitement over what was going to take place over the next two days. The desert area is one of the best settings anywhere in the world for a test drive, and amidst the palm trees, mountains in the distance, and the relentless beautiful weather, we were in for a treat indeed. The roads offer a different challenge than a predictable track environment would feature, with its twists and turns, difference in pavement, and, oh yes, other cars going by, but we believe that this is where the car shines. 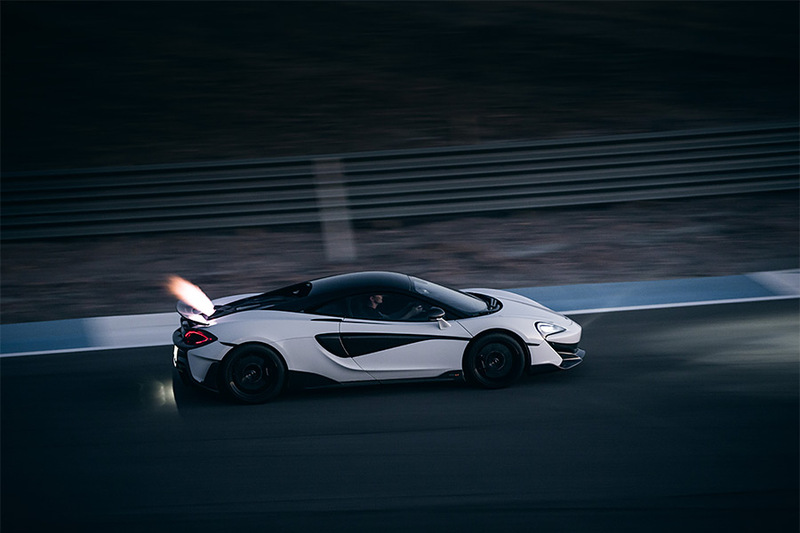 To be able to perform on the track is something that we’ve come to expect from McLaren, but the way the car handles on the road was a revelation. In the “normal” mode (there are also “sport” and “track” modes—which we would get to experience later), the car handled like a dream. Agile, nimble, responsive, and ridiculously fast, this race machine nevertheless made us feel safe, and the grins on our faces were genuine as we burned the proverbial rubber on our way through the desert. 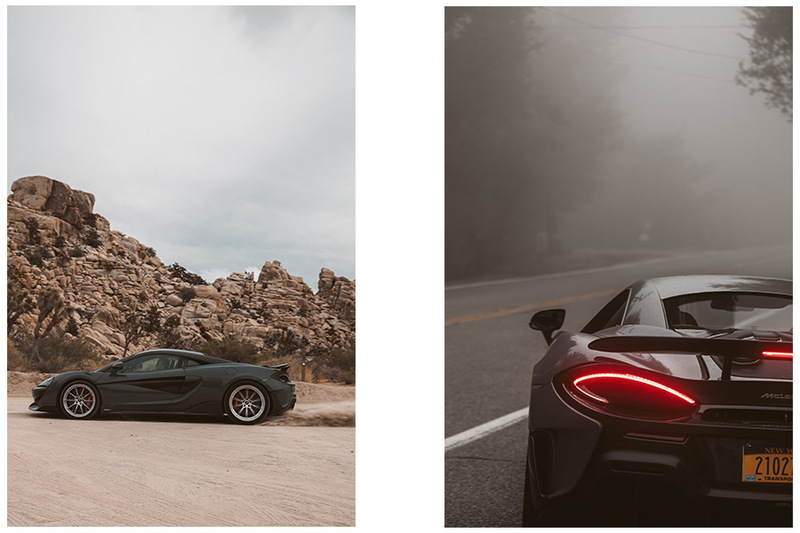 On the technical side, performance is in McLaren’s DNA, and you can feel what the engineers had in mind designing this magnificent car. The 7-speed, dual-clutch transmission can handle all 592 horsepower it delivers in a smooth, effortless fashion. Needless to say, it is accompanied by a very light steering touch that will guide you assuredly through the turns without feeling like you’ve gone through a strenuous workout. Finally, those big Brembo 6-piston brakes will give you the confidence that all that power can come to a halt, quickly and as needed. The interior is modern, if a bit spartan, and while we enjoyed our time in the car, we probably wouldn’t recommend going across the country with it—you’d get there fast but probably a bit worse for wear. This was only the first half of our experience. Our second day took us to the Thermal racing experience, where we anticipated putting this beast through its paces. We were not disappointed. Its performance is on par with (we may say that it exceeds) any and all competitors, including the famed Porsche 911 GT RS3, which is the car that the 600LT will be most obviously compared to. It is a driver’s car, one that is meant to be enjoyed going fast and loose, and the track is the best setting for such an experience. The only bad thing about this car is that we had to return it after our second day.